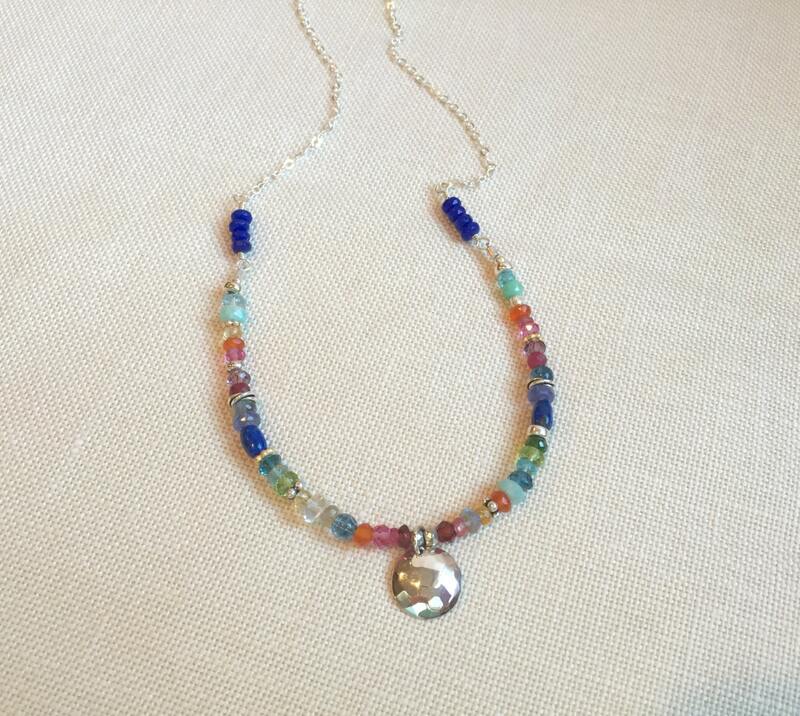 A bevy of beautiful gemstones surround a hammered disk of sparkling silver. 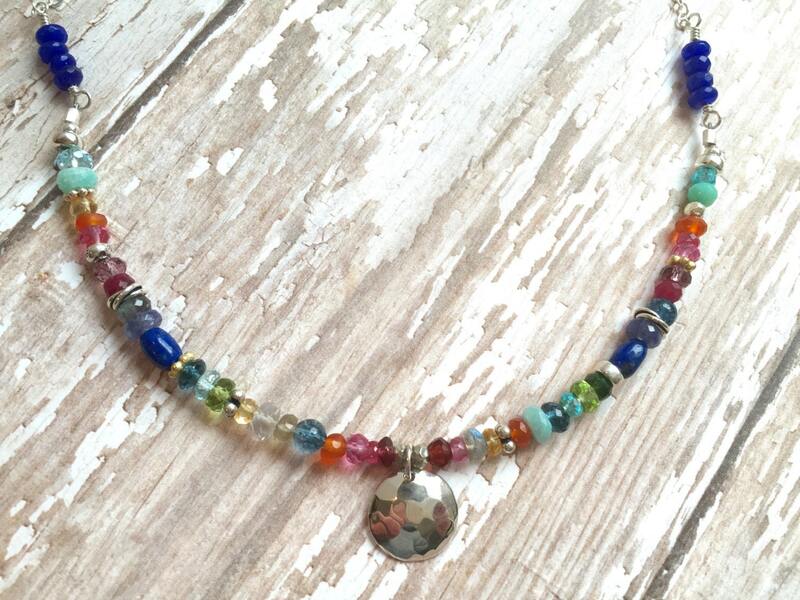 The rich assortment of gems makes this necklace so special and easy to wear with everything. Lapis, tanzanite, aquamarine, peridot, carnelian, citrine, London blue topaz, emerald, ruby, moonstone, Peruvian opal, turquoise, blue topaz, pink sapphire, kyanite, chalcedony and amethyst make up this treasure chest. 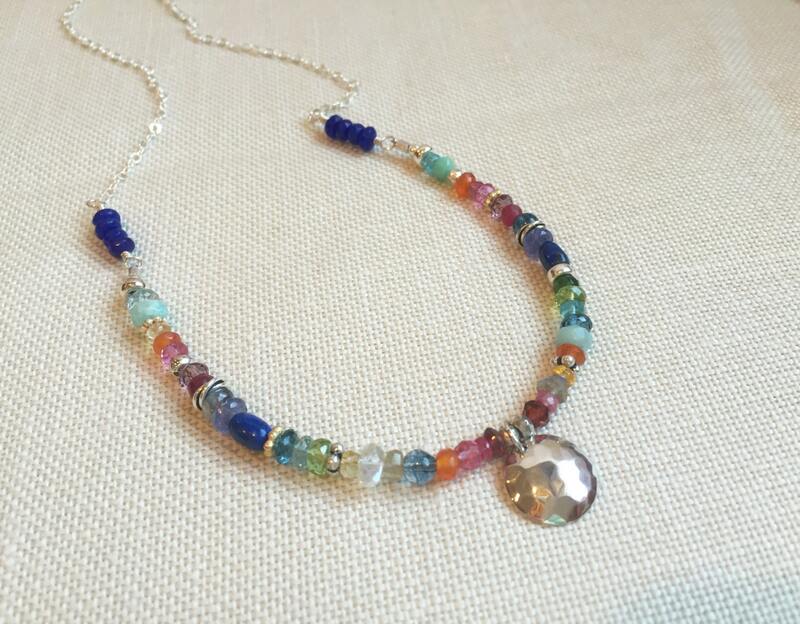 This necklace will become your new favorite! 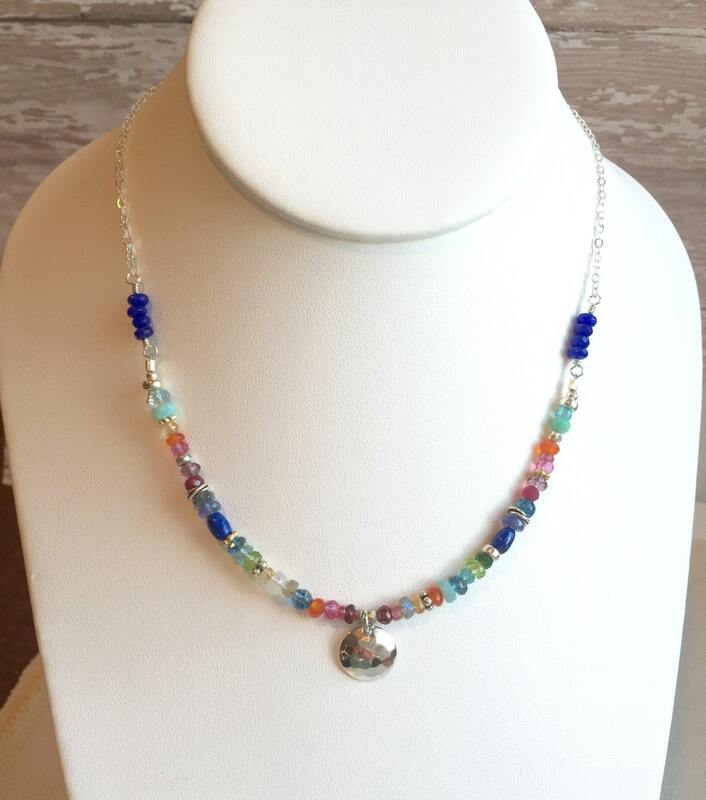 --Necklace measures 16" with lobster clasp. 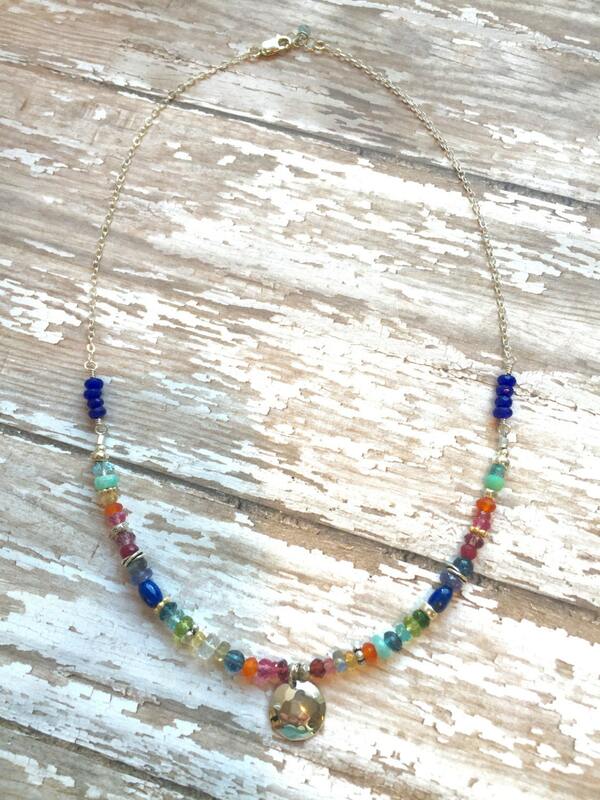 This necklace is also available in matte gold in our shop. Take a look!